Most people do not have the right mindset to own commercial real estate and that’s why they don’t own any. In fact, of all the difficulties with becoming a commercial real estate investor, arguably the most challenging is the replacing of the wrong mindset with the right one. In this training, you’ll discover what the wrong mindset looks like, where it comes from and why so many people have it, and most importantly, how to overcome it so that you can think like a wealthy commercial investor and begin your journey to becoming a successful commercial real estate owner. For most people, the answer to this question is no, which is exactly why they do not own commercial real estate. There are many challenges involved in purchasing your first commercial property, but the biggest obstacle you must overcome is “Stinking Thinking”. Stinking Thinking is when you have the wrong mindset on how you look at potential opportunities or potential problems. I am going to teach you what that wrong mindset is in commercial investing and why it stops you from being successful. I will also share with you what the right mindset is, so that you can begin your journey to purchasing your first commercial property. 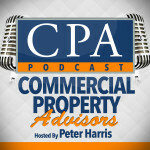 What is the Wrong Mindset for Purchasing Commercial Real Estate? Before I share what the right mindset for purchasing commercial real estate is, I would like to share what the wrong mindset is. The wrong mindset is something I also call the “Customer Mindset”. This is a person with a mindset focused on the cost of something instead of the benefit. Someone with a customer mindset focuses on whether or not they can afford something instead of what benefits something can bring. They believe that spending money will result in less money. This results in a belief system that only the rich can afford commercial real estate which is the number one reason a person with a customer mindset does not own any commercial real estate. As a result of these two things, a person with a customer mindset becomes mentally blocked. This mental block is detrimental in commercial real estate because a mentally blocked person does not consider creative financing techniques, such as; Seller Financing or Master Leases, which can be used to finance their first acquisition. Because they count themselves out and feel intimidated by a deal, they create a mental block that causes them to negate every commercial real estate opportunity that they come across. They believe that they cannot do the deals because of their customer mindset. The real question is, do you have a customer mindset? 1. A person with a customer mindset believes that property renovations cost too much. They focus on the cost of something instead of the benefit. One of my students recently purchased a 24 unit property with only one water meter which was costing him $26,000 a year, because he was paying for all of the tenants’ water. Because this student had the right mindset, he decided to pay for individual water meters for each unit. It will cost him $1000 per an apartment unit to install the individual water meters, which makes the total conversion cost $24,000 for all 24 unit. Once the conversion is done, the $26,000 a year he was spending on water will be passed off to the tenants, and be added to his cash flow. So the first benefit of this property renovation is an increase in cash flow. The second benefit is something I have mentioned in previous blogs, which is that when the NOI goes up, so does the property value. If the NOI goes up by $26,000 and he’s in a 8% cap rate area, we can divide the $26,000 by 8% and come up with $325,000 in increased property value. A person with a customer mindset would not spend $24,000 to get that benefit. 2. A person with a customer mindset is a person who buys a low cost commercial property only because they can afford it. In the world of commercial real estate, there is no such thing as a low or high price. It just simply does not exist. There is also no such thing as cheap or expensive. These things are just unimportant to a real estate investor with the right mindset. Instead, a person with the right mindset focuses on whether a deal has a low ROI or high ROI. They are focused on their return on investment, not whether something is cheap or not. Our country goes through lots of ups and downs in the economy and when there is a recession, financial hurt can happen. People lose properties, and properties lose property value. A person with a customer mindset will let a previous failure cause them to give up the dream of owning commercial real estate. They believe that real estate is not for them or that they are unable to recover from that failure. Where Does the Customer Mindset Come From? The first source of the customer mindset probably came from your parents and upbringing. The customer mindset has been ingrained in you since birth. Companies spend billions of dollars for advertisements on the Internet, TV, and radio to bombard you with a customer mindset to keep their companies going. This causes you to conform to what they advertise, which is to be average, and stay within your limits. A person with the right mindset does not conform, does not have a goal to be average, and certainly does not stay within his limits. You see thinking is difficult and that’s why a lot of people don’t do very much of it. A person with a customer mindset desiring to own commercial real estate just does not go together. It is like mixing oil and water together. In fact, they’re probably better off not owning commercial real estate, because it will probably eventually lead to failure. The right mindset to have in commercial real estate investing is something I call the “Entrepreneur Mindset”. This mindset is focused on ROI. Return on investment. A person with an entrepreneur mindset will ask themselves four question when an opportunity appears. How can I acquire that property? What funding sources would love to be part of my deal? What benefit would I get out of buying this property? Will it get you closer to retirement or the ability to leave your job? There should always be some sort of benefit with any deal you do. What actions do I need to take to meet my investment objectives? Whether your objective is to leave your job, build a retirement plan, or even ministry or charity work, there always needs to be massive action taken to meet your goals. The secondary focus of a person with an entrepreneur mindset is their focus on their wealth ratio. Wealth ratio is passive income stream divided by your monthly living expenses. Once your passive income stream equals your monthly expenses that means that you are out of the rat race. The focus is to develop and increase your passive income stream through commercial real estate. Ideally if you can get your wealth ratio up to 1.5, I would say you are safe to leave your job. Reaching 1 is monumental and it’s great, but get to 1.5 before you leave your current job. That’s something you should shoot for. Many entrepreneurs have had failures in their lives. A person with an entrepreneur mindset makes a comeback, and does not let past failures define their future. I am going to share with you what a comeback plan looks like. This comeback plan has been tested and proven to work. When you’re coming back from failure, don’t take your failure personal. Get over it. It happened. It’s in the past, and you have to move forward. Get knowledge that you haven’t had before. Get a mentor. Do something that you haven’t done before. You need to jump back in. Once you get your knowledge and a mentor to help guide you, you have to jump back into the game. Except this time, you are going to measure twice and cut once, because you have the knowledge and help you need to get back into commercial real estate investing. This step is a really important part to making your comeback. 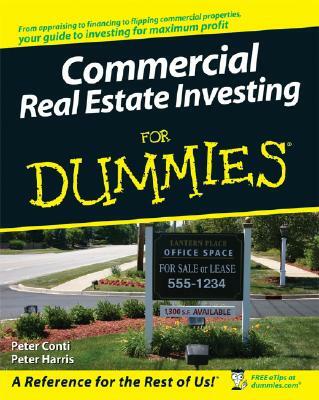 You must only only invest in cash flowing commercial real estate. Cash flow commercial real estate, long term. Gone are the days of speculating and gone are the days of waiting for the market to turn to invest. The time to invest is now, but only invest in cash flow commercial real estate. That’s what our company focuses on. This is the winning mindset. If you want to own commercial real estate, you need to have this entrepreneur mindset. You focus on return on investment, you focus on the benefits a deal will bring and you have a can-do attitude. That’s how you become successful in this business. Let’s say you found an apartment deal and it can significantly dent your wealth ratio. In fact this one deal can most likely put you out of the rat race, but you’re short on a down payment. You’ve just recently gotten back on your feet, so you have some credit issues, and past failures, but you have been working on your mindset and are ready to get back in the game. A person that is in this situation, with the entrepreneur mindset, is going to get help. They’re going to get a mentor. They’re not going to try to do this by themselves. It’s too risky. It takes too long and there’s too much at risk. Next is, they’re going to evaluate the deal, but this time they’re going to evaluate the deal with expert help. Then they’re going to find the money and a credit partner. If you watch my previous videos on real estate syndication and raising capital you can learn exactly how to find money for a good investment deal. Lastly, a person with an entrepreneur mindset is going to get things done. Another example would be if you found a commercial building that once again can significantly put a dent in your wealth ratio, or possibly take you completely out of the rat race. It’s a significant deal that could utterly change your life. You have a little bit of money saved up and good credit, so perhaps you even have a down payment, but guess what? You never jumped in out of fear or some other excuse. A person in this situation that has an entrepreneur mindset, would get expert help. Don’t try to do this by yourself. Next you would get knowledge. The reason why knowledge for this person is really important, is because if you don’t get knowledge the fear will dominate you and you’ll never jump in. Next you would assemble your team, which is a smart move. Next you would jump in. An entrepreneur with an entrepreneur mindset is a person that would jump in after you have your expert help, your knowledge and your team. How to go from a Customer Mindset to an Entrepreneur Mindset? First, you must focus on building the new. Secondly, I want you to watch all of my videos and I can almost guarantee that you mindset will shift to the entrepreneur mindset because those videos are built for success. Good presentation, keep up the good work. 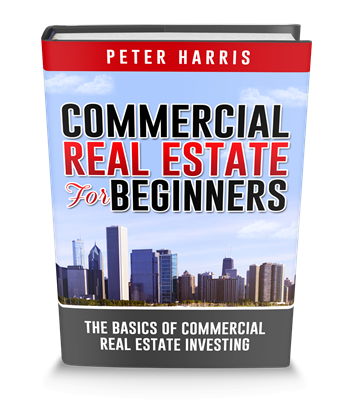 I want to get into “commercial” real estate investing. I’m 79 yrs. old & I’ve “saved” $500, 000 over my lifetime & I’m in fairly good health. (My mother lived to 94 & both my grandfathers lives to their early 90’s). I have three offspring for whom I’d like to leave a “legacy”. I live in a small town in Iowa where there are a few multifamily homes for sale. I’m considering going to the local banks to apply for a loan & am unsure if this is my best choice. I have $2000 “extra” a month to use after my topical expenses. Watch every video on this site pertaining to Multi-Family investing. Get educated before you dive in because you don’t want to make a big mistake with your life savings. I am interested in your mentoring. I listen to you accounts about knowledge being the turning point of success. It all makes perfect since we all need wise council.